Customer has owned this Corvette for the last 5+ years. The Le Mans Blue color is special. It was only made for 2 years for the C6 Z06, they stopped making the commemorative the color after that. These are pretty sought out for just as I sought it out when I purchased it back in 2013. It was originally built by LG Motorsports by the original owner and I have been taking her to corvette world Dallas (modifications listed below - receipts in hand). Dyno'd at 518 rwhp and 472 lb-ft torque. Body is immaculate (no scuffs anywhere). Tires are in great/near new condition, rear tires only have about 1k miles on them, fronts have only about 500 miles. It originally came with Alloy Chrome wheels but customer blacked them out about 4 years ago. The paint has been chipping off on a couple wheels (no curb rash), but most body shop that will fix them up for about $125-$150 a wheel. Corvette World recently inspected the entire vehicle including clutch and they said clutch still had plenty of life and brakes are good. 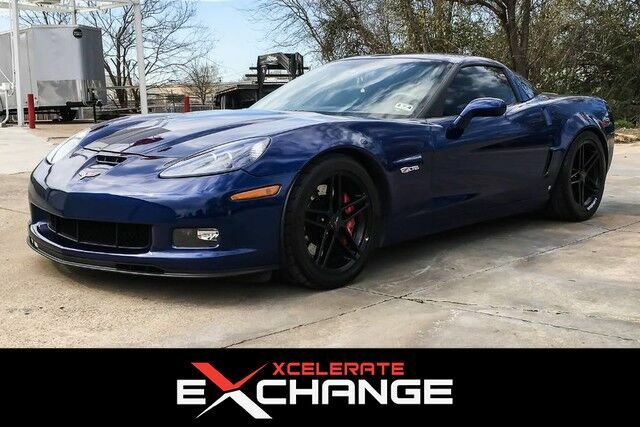 $36,500 obo for this low mile le mans blue Z06.